Palm for sale? That's the latest report from Bloomberg news, which says the struggling maker of the Pre and Pixi phones is looking for offers. 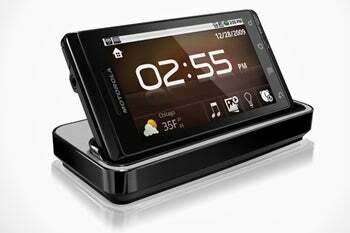 Up for the highest bid is also Palm's WebOS, the company's promising mobile operating system that never really took off with consumers. Whether the sale of Palm would be a death knell for the company or a smart move to revitalize the brand and technology is anybody's guess. Palm's WebOS is a potentially strong contender in the smartphone arena, and if the right buyer puts the OS on the right device, they might be on to a winner. Who could look into buying Palm and why? For HTC, buying Palm could offer the phone maker its own mobile OS and free it from its dependency on Google's Android-powered phones. 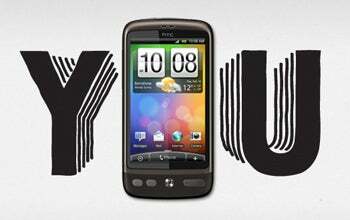 HTC could use a plan "B" for its handsets with respect to the Android OS. HTC is being sued by Apple over 20 patents related to the iPhone user interface, architecture and hardware. By buying Palm, HTC would create a new breed of WebOS smartphones, as well as getting access to Palm's catalogue of licenses and patents (and get out of hot water with Apple). HTC could throw Palm's sleek and powerful WebOS onto some speedy hardware with a big screen, add a decent camera, and gain access to Palm's household name in the U.S.
BlackBerry-maker Research In Motion, which still holds the lead in smartphone market share in the U.S., could benefit from a decent touchscreen OS like Palm's. The company's touchscreen-only devices (Storm, Storm 2) have had average to little success with customers, mainly because of slow, buggy software. It's these handset offerings that are woefully insufficient when it comes to iPhone-like touch interfaces comparisons. Palm's WebOS would give Research In Motion the creative juices to keep on top of the U.S. smartphone market, perhaps with the introduction of some decent touchscreen devices based on Palm's software. Buying Palm would give Motorola some mobile mojo it isn't getting with the Android OS. Motorola always seems a step behind with the times in Android software versions even for its flagship device, the Droid, in an increasingly fragmented Android market. If Motorola is unable to quickly upgrade its Android devices with the latest Google offerings, the company's smartphones risk of being marginalized by Google's own hardware offerings, such as the Nexus One, which are the first to receive feature updates. Motorola's mobile division has had a successful entry on the smartphone market last year when it started using Google's Android for its devices. But having Palm's WebOS under its wings, Motorola could keep under control when and how fast updates are rolled out to its devices, without having Google steaming ahead at a different pace.Though even if it buys Palm, Motorola won't need to ditch Google, rather than just create either its flagship of consumer-oriented devices with WebOS. Controlling the software, Motorola, (or even HTC), would end the Android fragmentation issues in its own way. For traditional PC hardware makers, acquiring Palm would give them instant mobile street credibility -- something Dell, HP, and Lenovo desperately need, especially as they entered the smartphone market, with various degrees of success. Dell is preparing a smartphone and a tablet based on Google's Android OS. If serious about this business, Dell could easily snap Palm and build its great OS into smartphones and tablets. Hewlett-Packard, whose Windows 7-based Slate tablet is to grace the market sometime this year, could also get an edge in the tablet market with Palm's shiny WebOS -- rather than just putting out Windows-based tablet (that didn't go well for the company in the first place with the XP tablets). Lenovo has a growing smartphone business in Asia and is also said to be building a tablet. As with HP and Dell, Lenovo would benefit from having its own quality OS to showcase on future products.